DevaCurl Duo - One 32oz No-poo 32oz. Kerastase Discipline Fondant Fluidealiste Conditioner 6.8 oz. Davines Love Smoothing Conditioner, 250 ml 8.45 fl.oz. 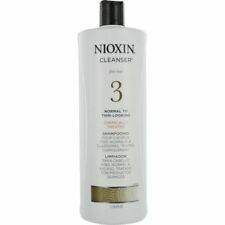 Nioxin System 3 Scalp Therapy. for normal to thin looking, fine, chemically treated hair. 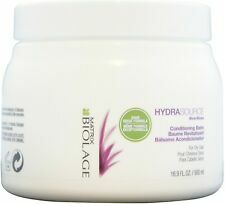 An intensely nourishing and restructuring conditioner. Formulated with Roucou Oil, a natural active ingredient to restructure hair. Hair appears softer, fuller, shinier and stronger. Perfect for all hair types. 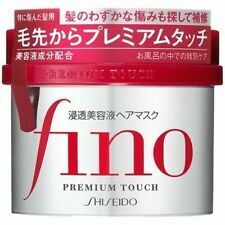 For noticeably thinning, fine natural hair. Plus KERATIN. Miracle leave-in. 295.7 ml / 10 fl oz. Keratin Protein Enriched. 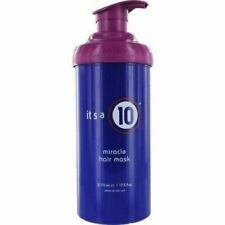 It's a 10 Miracle Hair Mask for color treated, heat styled, and otherwise processed hair. Certificates, manuals, warranty, and instruction. - Protect Hair Color. (The remainder of the box is donated to a local charity). Inspired by moisture-retaining properties of the aloe plant, this conditioning balm quenches and detangles dry, unruly locks. Creamy formula with rich lather. Protects hair color. Improves elasticity & reduces breakage. Enhances manageability. Zenagen Revolve Thickening Conditioner Unisex. You may also be interested in. The sale if this item may be subject to regulation by the U.S. Food and Drug Administration and state and local regulatory agencies. Its formula is designed to gently condition frizzy and unruly hair, favouring straightening and giving elasticity and hydration. The scent that characterizes the LOVE family has a citrus and green note. It works on all hair types to bring out natural luster and manageability while also making hair stronger and healthier by replacing lost protein with every use. Panthenol, sunflower seed extract, silk amino acids, hydrolyzed keratin, keratin amino acids. Salerm 21 B5 Silk Protein Leave in Conditioner 34.5oz /1000ml w/ FREE Nail File. 5 out of 5 stars - Salerm 21 B5 Silk Protein Leave in Conditioner 34.5oz /1000ml w/ FREE Nail File. 13 product ratings13 product ratings - Salerm 21 B5 Silk Protein Leave in Conditioner 34.5oz /1000ml w/ FREE Nail File.